I need to call a local service number, but I am out of the country. I am calling a local service a number a short phone number that is easy to memorize or where the receiver is either earning money, or paying the call. In Belgium these numbers are of the format 0800-xxxx, 0900-yyyy 070-zzzzzzz. I am aware that different countries have similar service numbers. Is it at all possible to call these service numbers if you are out of the country? If I need to be specific about a country, I need a solution for Belgium. I assume that with "local service number" you mean a toll-free number. In fact, I researched a little bit about the 0800 prefix in Belgium and it is assigned to toll-free services. Normally, I use Skype to call a toll-free number. This allows me to call the number regardless the country where I call from. 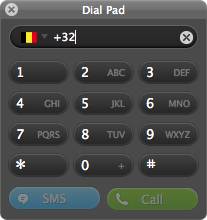 Skype supports toll-free numbers for some countries, unfortunately Belgium is not in the list. However, according to this thread, a customer was able to call a toll-free number with Skype paying the cost of the call. To summarize, you should be able to use Skype to call the toll-free number. However, keep in mind that you may have to pay a fee depending whether Skype supports the toll-free services for the country the number belongs to. Important: if you call the number with Skype, make sure you select the country in the dial pad before calling the number. Skype may not be able to automatically determine it when you call a toll-free number. Are there ways to call “international” toll-free phone numbers?